The Quadi were one of the smaller Germanic tribes to come into contact with the Roman empire during the first few centuries AD. 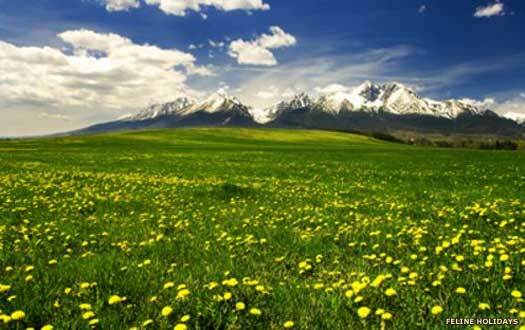 They were located in Moravia and western Slovakia, on the eastern edges of Germania. Neighbouring them to the north were the Buri, to the east were the Cotini and the Osi, to the south-east were the Sarmatian Iazyges, south were the two Roman Pannonian provinces, west was the large Marcomanni tribe, and north-west lay the vast swathe of various Suevi tribes. The Quadi themselves were included in the Suevi confederation, one which included many other Germanic peoples, such as the tribes of the Alemanni, Hermunduri, Langobards, Marcomanni, and Semnones. The term seems to have been used almost casually to describe a wide range of German peoples. However, it seems that not all of these peoples were entirely Germanic. Controversy exists as to whether particular tribes were German or Gaulish (Celtic), and the Suevi may straddle both definitions. The subject is discussed in greater detail in the accompanying feature. Named the Coldui by Strabo, the Quadi name seems to have no discernable root in the Germanic language. Instead, the name may have been a loan word from Latin. The warlike Quadi seem to have arrived in Germania at around the same time as many others of the Suevi, migrating southwards from the Baltic Coast towards the latter half of the first century BC. Very little is known of the tribe, but given their attachment to the Marcomanni, they may have been closely related, along with the Buri. The Osi are cut off from the Celtic world by the infringement from the north of the Quadi. They have to pay tribute to the militarily dominant Germans and a tribe of Sarmatians. Unusually, though, they are not absorbed by the Germans and manage to retain their language. Migrations of Marcomanni from the region of northern Bavaria and the River Main lead them to the homeland of the Boii in Bohemia where the Celtic tribe is subjugated by the newcomers. The Marcomanni leader, Marbod, forms a confederation of tribes which includes Langobards, Lugii, Quadi, and Semnones, and the Boii themselves. Led the Quadi into Moravia and western Slovakia. The Quadi expand gradually into western Slovakia, and perhaps also edge into Lower Austria, in the region between western Slovakia and southern Moravia. The far more numerous Marcomanni lie to their immediate west. Proto-Slavic tribes can be found to the north-east of the Quadi, but in this period they are small and unimportant. In this period war breaks out between Arminius of the Cherusci and Maroboduus of the Marcomanni, head of the confederation that includes the Quadi. The cause is Maroboduus' decision not to join the Cherusci-Roman war of AD 9 in common cause with his fellow Germans, although the two are clearly also rivals for superiority amongst the tribes. Following an indecisive battle, Maroboduus withdraws into territory that later forms Bohemia by AD 18. In the following year, a nobleman named Catualda, who had been exiled by Maroboduus (with help from Vibil of the Hermunduri), now returns (it has been suggested that this could be a Roman plot to sow discord). Maroboduus is defeated by him and is deposed, ending the Marcomanni confederation. Catualda gains the leadership of the Quadi, and while it is not known who commands the Marcomanni now, this may also be Catualda. Possibly king of the Marcomanni too. Out of the collapse of Maroboduus' confederation, Vannius forms a Quadi kingdom in the western section of modern Slovakia. Known as regnum Vannianum, the kingdom of Vannius, it is the first recorded state within the borders of that country. Vannius is also a client king under Rome, with his state forming a buffer between the province of Pannonia and other Germanic tribes. Vannius shows an inclination to rebuild the Marcomanni confederation, so Rome instigates an insurrection to solve what it sees as a problem on its borders. The regnum Vannianum breaks up following the insurrection which is led by the nephews of Vannius, Wangio and Sido, and supported by the Hermunduri. Vannius is deposed and later dies in unknown circumstances. Wangio gains the leadership of the Quadi while Sido gains that of the Hermunduri. Who now rules the Marcomanni is entirely unknown. The Quadi subsequently pick and chose sides in various skirmishes and battles between Rome and Germanic tribes, although they are frequently under strong Roman influence. 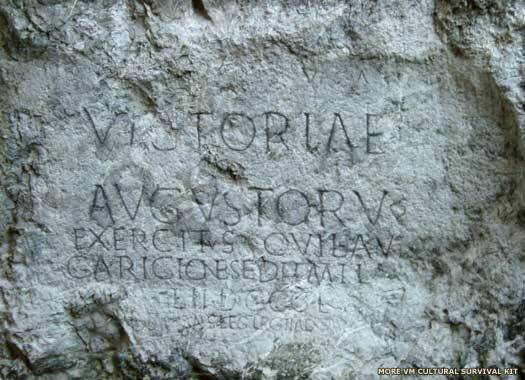 Writing at this time, Tacitus mentions a large number of tribes in Germania Magna which include the Peucini 'who are sometimes called Bastarnae'. He describes them as being iron ore miners who may be vassals of the powerful Quadi and that they are like Germans in their language, the way they live, and the dwellings they build, although he is not complimentary about their standard of living. It appears that mixed marriage between them and the Sarmatians is not uncommon, altering their appearance as a people to some extent. The Quadi themselves are counted as a tribe of the Suevi, who are noted for their custom of twisting their hair and binding it up in a knot. They and the closely-related Buri have both settled to the east of the Marcomanni and main Suevi host. Name unknown. Deposed by Rome after fighting. Fighting takes place between the Romans and the Quadi in 137. This leads Rome to raise their own candidate as ruler of the tribe, thereby renewing the dependence of the Quadi on Rome. Name unknown. Appointed by Antoninus Pius. A new Marcomanni confederation is formed which also includes elements from many other tribes including the Buri, Iazyges, Quadi, Sarmatians, and Suebi. Together they cross the Danube and invade Dacia, penetrating as far as Italy and forcing the Roman emperor, Marcus Aurelius, to spend the rest of his life campaigning in the Danube region to contain the problem, which he does (to an extent) with a further defeat of them in 180. Pro-Roman. Deposed by the Quadi themselves. Two years of heavy fighting begin in Quadi territory due to the tribe breaking its treaty with Rome. The invading Roman forces are led by Emperor Marcus Aurelius in person. The start of the fighting is known thanks to a battle in Slovakia on 11 June 172 during which the Romans, who have been cut off from access to water by the Quadi, are saved from defeat by a 'magic rain', a fortuitous heavy downpour while the Quadi ranks are struck by lightening. This event is depicted on the Column of Marcus Aurelius in Rome. Following the Roman withdrawal, the Quadi depose Furtius and install an anti-Roman replacement. Anti-Roman. Deposed and banished to Egypt. Marcus Aurelius refuses to recognise Ariogaesus, so he turns his forces around and marches back against the Quadi. Ariogaesus is deposed and Furtius is restored. Peace is agreed between Rome and the Quadi. Assassinated on the order of Roman Emperor Caracalla. The second and third centuries are relatively peaceful between the Quadi and the Romans, although small invasions by the Quadi take place into Pannonia in 212-215, 258-260, and 283-285. The period is economically prosperous for the tribe, with Roman civil residences being built on Quadian territory far from the Roman border (one such residence is at Cífer-Pac, built about 340). These are probably the residences of pro-Roman Germanic princes. The Vandali emerge from the northern Carpathians and enter into Pannonia and Dacia, apparently passing the Quadi on their eastern flank and perhaps even forming their neighbours for a time. It is now that the the Vandali divide into two tribes, the Asding and Siling. Around now, Rome starts to improve its old military settlements at the border (modern Devín, Iža) and construct new settlements on the territory of the Quadi (probably at the Váh, Hron and Nitra rivers). Naturally, this activity raises tensions between the Quadi and Rome. Following their usual policy of attempting to control the Quadi with a mixture of politics and subterfuge, the Romans assassinate the Quadi ruler, which angers not only the Quadi themselves, but also the Marcomanni and Sarmatians. The invade Pannonia, albeit briefly. Name unknown. Assassinated by Rome. Roman Emperor Valentinian I punishes the Quadi by staging a retaliatory invasion of their territory. The brief war ends with peace terms being agreed, and the event marks the last time the Romans enter Slovakia. Name unknown. Last king of the Quadi? The Hunnic invasions force the Suevi to move. The bulk of the Suevi cross the Rhine at Mainz in 406 in association with the Vandali and Alani. The Alemanni remain behind, meaning that the dispersed Quadi are even more scattered, between southern Germania and Iberia. The Bavarian confederation is formed in the territory that will later become Bohemia, immediately following the exodus of the Langobards towards Italy. The confederation is unusual in that it does not migrate from elsewhere but is made up from local elements, survivors from tribes that have been destroyed or dispersed by the Hunnic-caused upheavals, or whose tribes have migrated elsewhere. This confederation includes possible Celtic Boii descendants and Roman settlers, along with elements of the Alemanni, Heruli, Marcomanni, Ostrogoths, Quadi, Rugii, Sciri, and Thuringians.